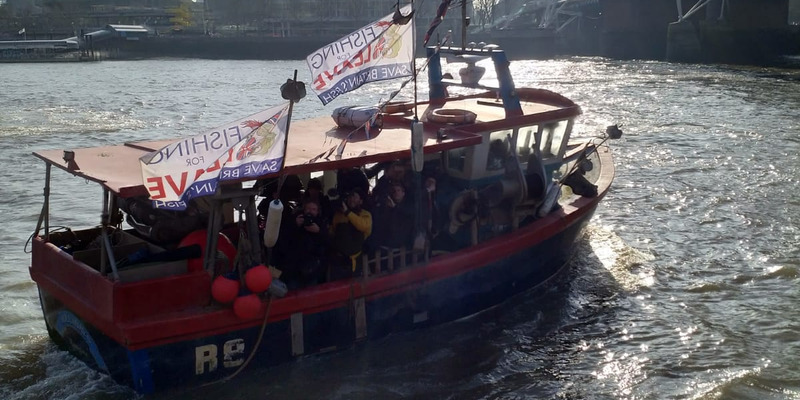 LONDON – Leave-voting fisherman and Nigel Farage took to a fishing boat on the Thames on Wednesday morning in protest at the Theresa May’s decision to keep Britain signed up to EU fishing rules during the Brexit transition. May’s decision is causing uproar among Tory MPs in coastal constituencies with 14 of them writing to May threatening to withdraw their support from the government over the issue. As a result several of their number, plus former UKIP leader Nigel Farage, planned to join a protest which culminated in a trawler laying anchor beside parliament. Farage then tossed dead fish into the sea in protest. No, we’re not making this up. Here is how it all went down. Let the historical record show that 21 March 2018 was the day Britain coined the phrase: "They couldn't even organise a fish-throwing in a major river"